Membership has its benefits. However, you are in the BEST position to provide benefits to those in need. Your support is valuable. Annual memberships is just one way we are able to offer people a chance to make a difference. Every gift, large or small, helps to serve those in need so that every individual and student can excel. Join IRMC and be a part of something amazing, because great things happen when we ROCK TOGETHER. 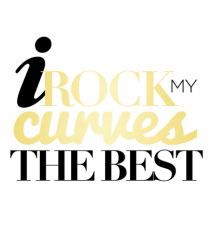 Thank you for supporting I Rock My Curves The Best!